Pier 57, recently renamed the "SuperPier," has received a $225 million loan from PNC Bank, according to a source close to the Commercial Observer. The $350-million project by RXR Realty and partner Youngwoo & Associates is set restore this old shipping and bus terminal. 560,000 square-feet of mixed-used development will be the result. Seth Pinksy of RXR told the Commercial Observer that they were "still finalizing terms and agreements with all of the relevant parties." Around 480,000 square-feet has already been set aside for office blocks. Google has managed to secure 250,000 square-feet of that space when it signed a 15-year lease, as reported by the Wall Street Journal. So far, there's no word on who'll be Google's neighbors. A food market run by celebrity chef Anthony Bourdain will occupy 100,000 square-feet. 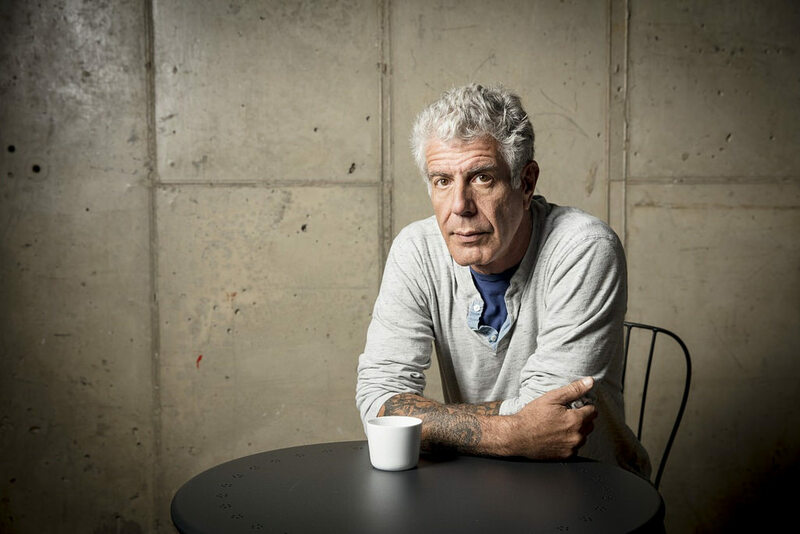 Speaking to The New York Times, Bourdain said the food hall will feel like "an Asian night market." In addition, 80,000 square-feet will make up the public park that will housed on top of the pier while promenades on which the public can walk will take up 34,000 square-feet of the structure. 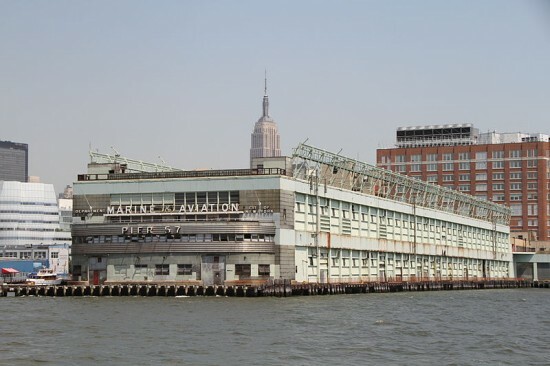 As Spring approaches, perhaps in the spirit of rejuvenation, the New York City Council has unanimously approved plans to revitalize Manhattan's Pier 57, the historic pier located at 15th Street and the Hudson River. 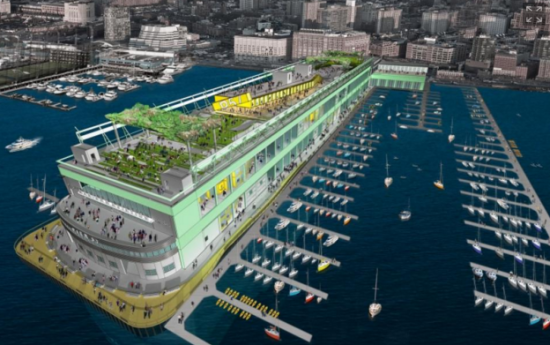 In 2009 architecture firm Young Woo & Associates set in motion a plan to transform the Pier into a multi-use cultural, retail, and restaurant hub, and, with the City Council's approval in hand, the developers can finally begin the long-awaited redevelopment of the pier. Pier 57 was built in 1952 by Emil Praeger. At the time of construction the engineer received great acclaim for his pioneering design—the Pier floats on three buoyant hollow concrete boxes that were flooded down the river. The new plan to restore the historic landmark conserves the original framing while renovating the 375,000 square feet of interior and rooftop space. While Young Woo & Associates would not release new renderings of the updated design, previous renderings hint at what may be in store. The plan’s most enticing design feature involves the repurposing of sixty 160-square-foot "Incuboxes," or shipping containers, which will be leased to artisans and merchants for $3,000 a month and used for retail and restaurant space. Additionally, the new plans call for adding an amphitheater and a marketplace featuring recycled airplane fuselages that will serve as food kiosks and performance spaces. A public green rooftop, “Sky Park,” will offer waterfront views of the river and New Jersey and will be used to host exhibitions and performances, as well a serve as the Tribeca Film Festivals permanent outdoor venue. Construction of the new and improved Pier 57 is expected to begin in October, with completion targeted for 2015. Hudson River Park Trust Chairperson Diana Taylor said in a statement, “I am so pleased that this project which is so vital to the Park can now go forward. This new Pier will include sorely needed open spaces for Park visitors and will result in much needed revenue to help operate and maintain the Park to the high standards we have come to expect." “I see nothing in space as promising as the view from a Ferris wheel,” E.B. White once remarked. After the dismantling of the Seattle Center Fun Forest and Ferris wheel—closed in January 2011 to make way for the Chihuly Garden and Glass museum—Seattle will finally get its Ferris wheel back. The nearly-completed privately-funded wheel at Pier 57, with 8 supportive legs and 21 spokes, will weigh 280,330 pounds. Built by Chance Morgan Rides Manufacturing Inc. and funded by developer Hal Griffith, the 42 six-person gondolas will bring riders 175 feet into the air, with views of the Olympic Mountains to the west, Mount Rainier to the south, and the Cascade Mountains and the city to the east. Open year-round, the cars will be enclosed, heated, and air-conditioned, so no need to worry about the Seattle drizzle. The widest part of the wheel is positioned perpendicular to the Elliot Bay waterfront to maximize views while preserving site lines for neighboring buildings. At 175 feet, the Seattle Ferris wheel is a reserved interpretation: the original Ferris wheel, built for the 1893 World’s Columbian Exposition in Chicago, was 264-feet-tall. Today, the world's largest Ferris wheel is the Singapore Flyer, built in 2008, which stands at 541 feet. 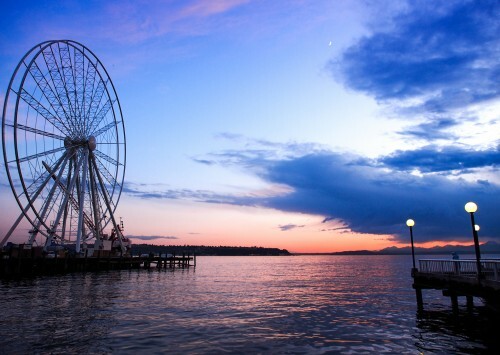 The Seattle Ferris wheel will open by the Fourth of July.